The rendezvous is on Stand 4 F 002, managed by ARBOS France, a branch created in 2017 confirming the commitment and investments of the Italian Group throughout all Europe. The French market is a strategic target for ARBOS and that is why the group continues to consolidate the dealer and service network developed by the new subsidiary based in Saint-Perst in Lyon Cedex. During the exhibition, from 24th to 28th February 2019 at the Parc des Expositions Paris Nord Villepinte, ARBOS Blaster will be acknowledged with "Sima Innovation Award 2019" - the trailed sprayer, also nominated in the “Technical Innovation” section at Eima International 2018, scored an important double win in the innovation field. 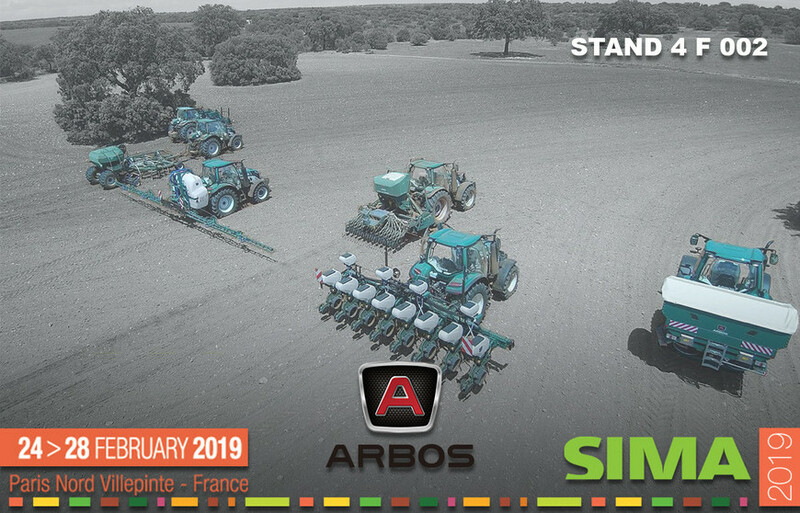 ARBOS France and its sales staff are waiting for you at SIMA 2019 to support you in choosing the solution that best suits your needs.